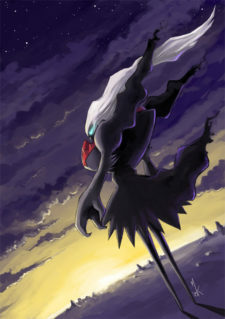 Darkrai and I don’t get along well. Hey everyone! Hopefully you’ve all had time to decompress after the NAIC. My tournament run was disappointing, as I fell short of any CP with a 5-3-1 record. Maybe that will teach me to stay away from Dark decks! My own preparations for Internationals were lacking (I’m starting to sound like a broken record) but I’m really determined to do well at Worlds. In fact, I’ve actually started testing the new format already. That’s probably a record for me as far as testing this far in advance for a tournament! Thankfully, the metagame seems to be settling down as we head into Worlds. Burning Shadows doesn’t really bring a lot of new decks with it, and the results from the NAIC should help to centralize the metagame. There’s still plenty of room to be creative, but I think there is finally a set of ~5 decks that you can focus on countering. It’s still early in the format, but what I’ve seen so far is very promising! For today, I’m planning to just go over my early favorites in the new format, plus some of the forgotten decks from the PRC-GRI format that could be surprisingly strong picks for Worlds. Let’s get to it! Although others have said that Gardevoir seems to be the deck to beat in the PRC-BUS format, Volcanion actually defines the format and the metagame right now. It sets a standard for what a deck focused on Basic Pokémon should be. It checks other potentially format defining decks like Metagross and Decidueye. Anything that isn’t fast enough to compete with a deck that can put 5 energy on the board on T1 is left in the dust. Kiawe brings Volcanion the early game pressure that it has always been lacking, and Guzma is a strong addition to reset Volcanion-EX and Ho-Oh-EX’s attacks. Speaking of Ho-Oh, some Volcanion fan must have been wishing pretty hard on a double rainbow to get this new addition to the deck. An attack that deals 180 without relying on Steam Up, plus a Weakness to something other than Water makes it just the partner that Volcanion needed. I’ve found a lot more success focusing on an early Tapu Lele -> Kiawe than I have dedicating any space to Max Elixir. I’ve even been considering adding a few Trainers’ Mail to find Kiawe or Ultra Ball on T1 as much as possible. Many lists have recently included 2-3 Max Elixir, but I don’t think they really add that much to the deck. In the typical game, you want to attach 5 energy on T1, and 3+ more should be in the discard or on the field by T2. Even if you could find one of your Max Elixir at the right time, you’re running out of Energy to find with it! Currently, I’m playing a full set of 4 Volcanion-EX to alleviate any prizing concerns, prop up the “baby” Volcanion as a threat with Steam Up, and also to guarantee a good target for a T1 Kiawe. One of them could become a 2nd Ho-Oh-GX if I find the need for more early damage output. I also have a 2nd Turtonator-GX that some players have cut for the 2nd Ho-Oh. However, Turtonator is a great attacker against Gardevoir as you discard 2 energy after attacking, limiting their damage output. It also hits for the perfect 230 with a Fighting Fury Belt and 2 Steam Up. I’m unsure if 2 Guzma is better than 1 Guzma and 1 Lysandre right now. Though, if any deck is going to play all Guzma and no Lysandre, this is it. You should always have a Float Stone on one of your Benched Pokémon (or your free retreating Staryu). The ability of Guzma to reset your attacker’s restrictions against attacking in consecutive turns comes with little drawback so I’m testing out 2 right now. The last addition that I’m considering is Scorched Earth. The combination between this stadium and Starmie’s Space Beacon allows for a free “draw 2” every turn. This could give a Volcanion player some breathing room to use Guzma turn after turn and also insure against an N to a low card count. Brooklet Hill has been incredibly strong, so I’m not sure what I would cut. Maybe a split of 2 Brooklet Hill and 2 Scorched Earth at the cost of a Switch/Float Stone would be doable. The other 3 decks I’ve spent time testing are Decidueye/Ninetales, Gardevoir-GX, and Drampa/Garbodor. I only built Drampa to see if the new decks could hold their own against the NAIC Champion. And the answer is resounding — YES. Unfortunately, Volcanion’s T1 Kiawe to a Ho-Oh just decimates Drampa. Tapu Lele is a decent answer to Ho-Oh’s 4 Energy requirement, but it just doesn’t hold up against constant OHKOs. Gardevoir also consistently out damages Drampa, and sports a massive 230 HP to keep it alive. Sam Chen’s Top 4 list with a Guzma over a Lysandre is what I was playing. For Gardevoir, I started with the list that Travis sent me a few weeks ago. I wasn’t playing a Sylveon line and instead liked the new Diancie as a way to evolve my Ralts, Kirlia, or Remoraid. It gives the deck a good way to speed itself up and also plays more proactively where Magical Ribbon allows your opponent to N your new hand away. Gardevoir was able to easily beat Drampa and Volcanion was around 50/50. At first glance, it seemed to be the defacto BDIF. However, the magical Gardevoir counter was Decidueye, or more accurately, Espeon-EX. I pulled out the other Top 4 list from the NAIC to begin my testing. I prefer Igor’s list to Mees or Mike Fouchet’s as Trainers’ Mail is the glue that holds Decidueye together. It helps you find Forest of Giant Plants and Ball cards to give you early game speed at the cost of being worse against Garbodor. VS Seeker would give you more late game sustainability and allow for interesting techs like Hex Maniac or Delinquent, but I don’t think you can afford to look towards the late game in the current metagame. The deck is surprisingly consistent, and has a lot of early game damage output with 2 copies of Tapu Koko and a focus on getting 2-3 quick Decidueye out. After 2 or 3 turns, you usually have enough damage to devolve any threats on your opponent’s board, be it a Gardevoir/Gallade/Kirlia or even the Octillery that is keeping them in the game with the draw power. A single turn of Espeon-EX’s Miraculous Shrine spells doom for any Gardevoir player and puts them so far behind in the game that you can coast to victory from there. Unfortunately, I’m unconvinced that Decidueye can beat Volcanion. I would try including things like a heavy Alolan Ninetales-GX line, higher counts of Choice Band to increase Ninetales’s damage output, or even swapping to VS Seeker to keep the pressure up with N. However, the addition of Ho-Oh-GX gives them an attacker that isn’t weak to Water which can sweep your board in a matter of 3 turns. Plus, Guzma gives them a way around any stalling you might want to do. It’s not a matchup I’d want to see. Speaking of Guzma, I’ve been trying a single copy in Decidueye and seeing some success. You have 2 Float Stone and 2 Tapu Koko, so you can usually cycle back to your attacker if need be. Decidueye often likes to switch between active Pokémon, whether it’s moving a damaged attacker to the bench or bringing up the utility attacker you need in a specific instance. Without any VS Seeker, though, I think I’d stick to 2 Lysandre or 2 Guzma. Time to reel in a winner! This new format leaves me in a much more comfortable position. I’ve always preferred formats where there are a few top decks so I can focus my efforts on countering them! I’ve seen success in these formats such as in London where I brought Vespiquen/Zebstrika into a room full of Yveltal. This led me to think about which decks could flourish in a metagame rife with Volcanion and Gardevoir, but lacking in some of the mainstays of the last format such as Espeon-GX/Garbodor and Decidueye. The first deck that came to mind was Gyarados! I’ve started with a list that is incredibly similar to what Mike Fouchet featured in his Gyarados article pre-NAIC. From here, there are actually a ton of small changes that I’m considering. For starters, the new Gyarados BUS could be a decent option when you can’t find a Magma Base. It’s also a good counter to Tapu Koko, allowing you to hit for 150 base without benching 2 Magikarp. I don’t think I’d cut down past 3 Gyarados AOR, but an Item card could swap out for the new Gyarados. To round out the Pokémon line, I’m not sure if a 1-1 split of Shaymin and Tapu Lele is perfect, but I wanted to test them both at the same time. 2 of one of these setup Pokémon might be needed, and testing with 1 of each will expose which one needs to be upped to 2. I’ve chosen to keep a copy of Mr. Mime as a counter to Tapu Koko, but it might not do enough or be necessary. Gyarados BUS could be the better Tapu Koko counter and fit easily into that slot instead. Some players have talked about Machoke as a counter to both Greninja and Decidueye but it’s too clunky and doesn’t do enough. Plus, if those two decks are popular, I’d stay away from Gyarados anyways. This is the first deck that I haven’t even tried a single Guzma in and for good reason. You only run 2 switching outs and usually have little reason to swap your active Pokémon to the bench. Thankfully, Gyarados will rotate after Worlds so it won’t have to adapt to playing Guzma over Lysandre. I haven’t played this deck since the release of Choice Band but I’m afraid that I’ll miss Lucky Helmet as the tool of choice. Tapu Lele makes N more accessible than ever and it’s incredibly difficult for this deck to recover from an N to 1-2, especially if your Octillery is taken out of commission. I understand that Choice Band adds more to the deck than Lucky Helmet and that Field Blower makes it a much less reliable option. Even so, I think I’ll be testing 2-4 out if I can find space. You can even play both tools due to the Theta Double trait! Unfortunately, there don’t seem to be any other cards from BUS that could fit into Gyarados. 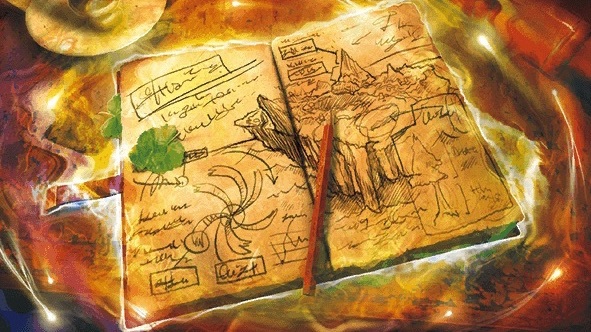 Instead, my interest in the deck stems from a potentially strong standing in the new metagame. Volcanion could stifle Decidueye, Gardevoir and Guzma should keep Espeon on the backburner, and there seems to be little reason to play Tapu Koko and Oricorio as general techs right now. Otherwise, most of the format should be good matchups, provided the metagame doesn’t shift in the wrong way. I’m not sure that Gyarados would be a good day 1 pick (unless you’re a big risk taker) but I could see the merits of it for day 2! Greninja is unfortunately potentially well positioned, especially if you’re willing to lose a few games to dead draws. It should destroy Volcanion (even with Ho-Oh’s Lightning weakness) and trades well with Gardevoir. Greninja was actually fairly strong in the PRC-GRI format but many players stayed away from it for the NAIC due to the need to perform well over 15 Swiss rounds. Since Worlds will likely have 6 rounds Day 1 and 7 rounds Day 2 (without your record carrying over), there could be an opening for Frogs to perform well. Personally, I’ll be bringing my Giratina XY184 with me to Worlds. One card that isn’t getting any hype is the new Alolan Ninetales. I’m surprised that it took us this long to get a card with immunity to Pokémon-GX but I’ll take the additional immunity to Pokémon-EX as compensation for the wait. Unfortunately, the attack is pretty lackluster and the WCC cost stops it from being very splashable. Instead, it could be just the card that Ninetales decks needed. Without it, I don’t think Ninetales could stand up to Gardevoir, and Volcanion even seems like a potentially poor matchup. Many decks are neglecting to play Hex Maniac right now, so the new Alolan Ninetales could actually be worth looking into. Golisopod-GX seems pretty underwhelming in the PRC-BUS format. The damage output is lackluster compared to other Stage 1s like Vespiquen and Garbodor, and the 2 prize liability stings even with 210 HP. And don’t even get me started on the Fire weakness! Unless someone convinces me otherwise, I don’t think I’ll be investing a lot of time into testing it for Worlds but next format could be another story. I would be unsurprised to see a deck win Worlds without a single card from Burning Shadows, save maybe Guzma. While the new set does bring a lot to the format, it typically strengthens just a few decks. Some of the potential counter decks might not need or even be able to make use of any of the other new cards. Don’t focus all of your testing on new cards; old deck ideas could be just as good. The new set actually interests me quite a lot, though I’ll have to wait until the rotation to truly explore it. 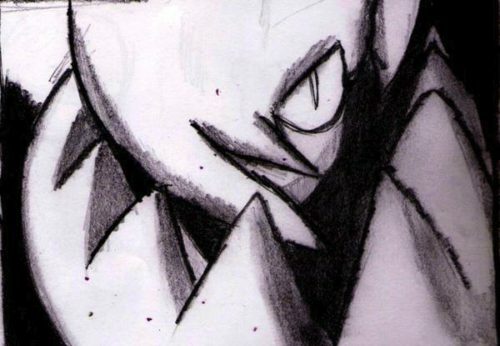 There are a lot of hidden gems like Porygon-Z, Weavile, and Muk-GX that have just enough potential to warrant some testing. For the next month, however, I’ll be focusing entirely on the PRC-BUS format. I’ll be back again next month with my testing results as we head into Worlds. I’ve recently moved slightly north of Atlanta (read: 5 miles north) and am now in close proximity to my good friend Ahmed Ali. Hopefully he’ll be able to keep me accountable and force me to test more frequently!